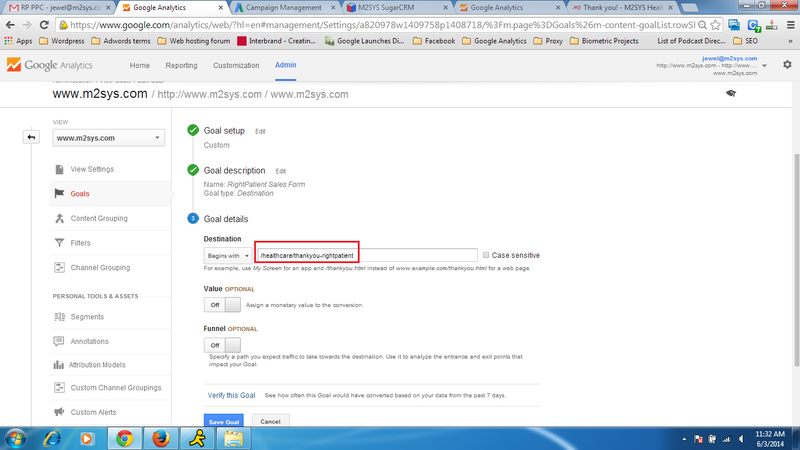 Setting up goal for Rightpatient campaign in Google Analytics. Please note, Funnel is off as there are several pages from where website visitors can fill up the sales form. Content Analysis Report. 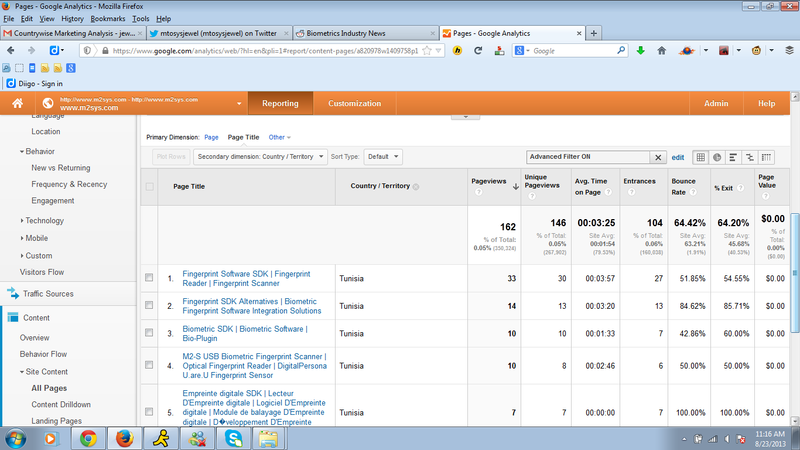 In this image, you can see how specific landing pages are performing for Tunisia. Showing page views, unique page view, avg. time on page, bounce rate, and exit rate from certain pages. Visitor Flow Analysis in Google Analytics. Showing insights on customer behavior on different web pages. 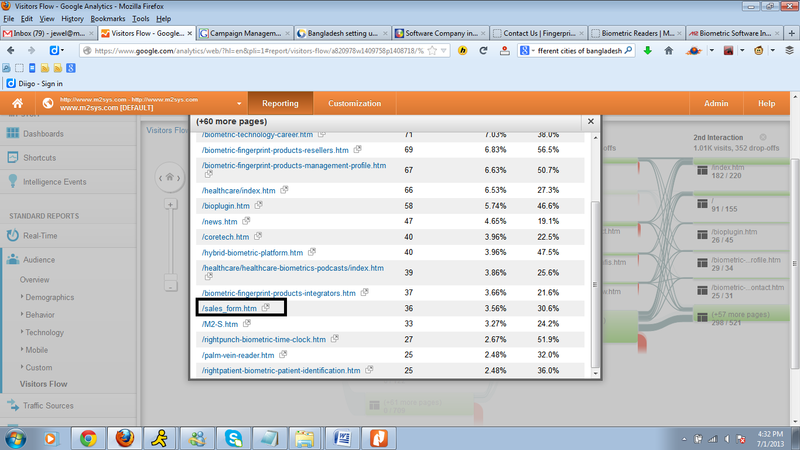 In page Analytics report for m2sys.com; Reports showing how many clicks each tab received from the website viewers and you can see that, Contact Us button received 75 clicks from the website visitors. Month end Google Analytics report for one of our clients. We used Microsoft power point to make this report. You can hire us to manage your analytics account. We can provide high quality Google Analytics, Adwords and SEO reports. If you would like us to check your Google analytics account and make an outstanding report which can deliver you insights about your businesses then don’t delay! Time is money and you need to optimize your time properly! Hire us now to grow your business.